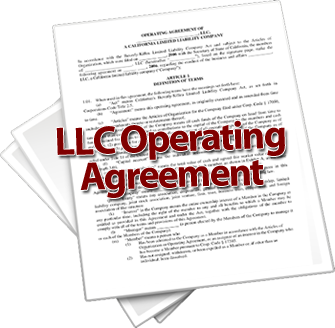 The complete LLC Operating Agreement defines company operations, what happens if creditors come after you, what happens if you die, and dozens of other issues surrounding your LLC. It is customizable to your needs and easy to use. It goes way beyond the standard forms and will save you both money and frustration. So much more than just another set of instructions–this system even includes access to LLC-specializing expert attorneys to answer your questions! The LLC Wizard materials themselves explain how to double your asset protection and get a lot more spendable cash out of your LLC. It will help you set up, operate and get the benefits out of your own boutique LLC in 6 easy steps. 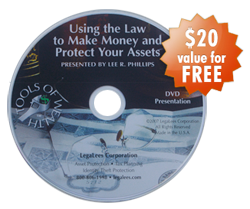 It works in any state and can easily be done from home using simple and powerful legal and tax strategies your attorney and CPA have probably never mentioned. See here for more information! 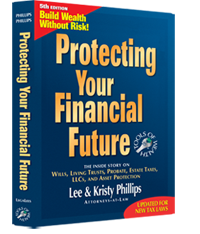 This book is the bible for tens of thousands of people; it lets YOU keep more money using the law. It isn’t a stuffy legal book either. You will laugh and you will cry as you learn about the law. You’ll understand estate planning and asset protection. And never again will an attorney be able to pull a fast one because next time you talk to your lawyers, you’ll know exactly what you need and how to do it! “How to Double Your Asset Protection” takes you step by step through how to use charging order protection in addition to the “corporate shield” an LLC offers. Have you ever wondered how to set up your own LLC that actually protects you and your family? There are a few key steps you need to take to set up your LLC properly. Leave these out and your business will be at Risk. Not only does this LLC mini course help you understand your LLC, it shows you how to use it to "Beat the IRS" and save literally thousands in taxes.